Earn $5.14 in Rewards credit (514 points) What's This? The Rocket Ron keeps it simple. Optimized for speed above all else with widely spaced knobs that roll fast and also do a great job shedding mud. Great cornering traction and an economical price. 55 max PSI. Folding bead. All Black. 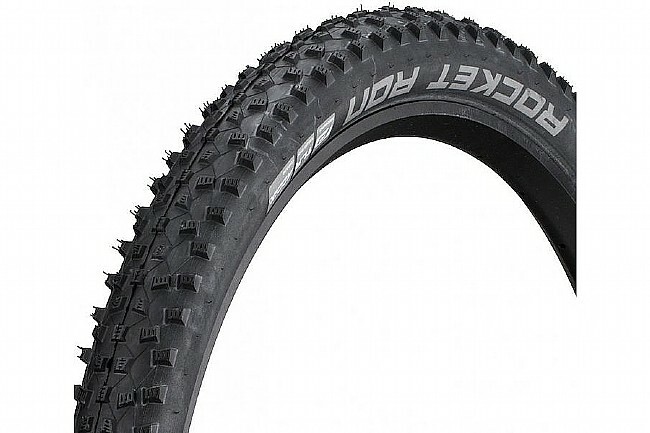 Excellent value, durable, and lightweight for a semi knobby tire.